A new neighborhood is planned to rise in an area that will be reshaped by the straightening of the Mass. Pike through the former Allston railroad yard. FOR THE APPROXIMATELY $1 billion it’s expected to cost them, taxpayers deserve to get more out of the upcoming Allston interchange project than the Baker administration seems ready to settle for. 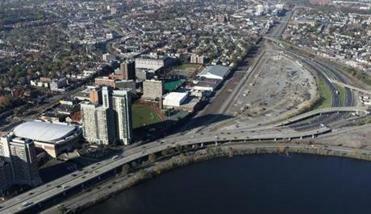 The massive highway construction project will realign the Mass. 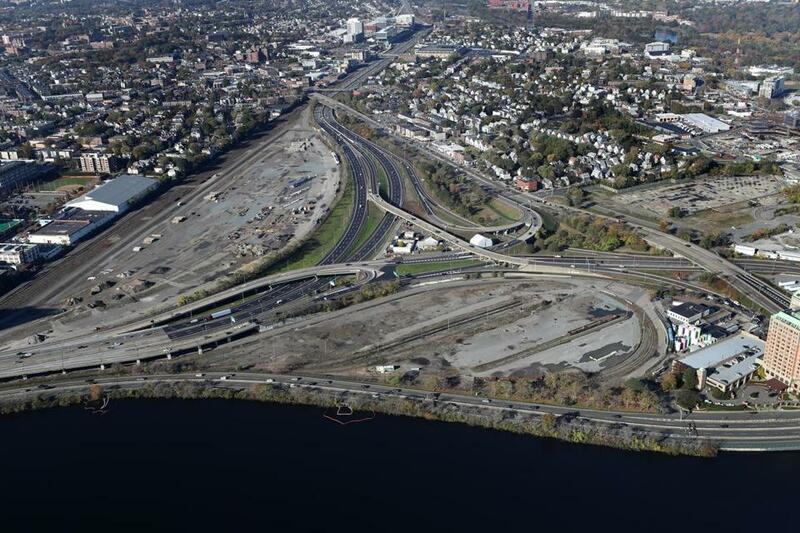 Pike between the Boston University campus and the Charles River, and free up the land to create an entirely new neighborhood in what is now a dreary tangle of off-ramps, railroad tracks, and asphalt. That area has undeniable potential: It could be a desirable, walkable neighborhood with good transit connections, access to the river, and mixed-use development. The City of Boston’s placemaking study for the area heralded its pivotal location and potential for transit-oriented development. The city and state have both identified housing creation as a critical need, and an attractive, well-connected neighborhood would certainly help. But the latest plan from MassDOT, unveiled to disappointed local officials earlier this month, basically proposes to upgrade the highway and call it a day. The commuter rail station that the Patrick administration had proposed to build, called West Station, would have to wait until 2040, which residents suspect is MassDOT-ese for never. It’s a short-sighted retreat, and a deflating end to a process that began three years ago amid high hopes for a transformational project. In defending its crimped vision for the site, the administration points out that Harvard, the major landowner in the area, hasn’t decided yet what to do with its property, making it unclear whether the commuter rail station would fit in with the university’s eventual uses. But that gets cause and effect backward. The lack of a station would likely influence the university’s land-use plans. Even if the station were built after 2040, Harvard by then might have developed the land in ways that fail to realize its potential. To defer entirely to Harvard also ignores the other public benefits from West Station, including better bus connections that would be an asset for Allston residents no matter what Harvard decides. West Station could also form part of a commuter rail route to Kendall Square in Cambridge, a long-discussed idea that would get a boost if the station opens. West Station is estimated to cost around $90 million, but the state wouldn’t have to pay the whole bill. Harvard has offered to pay for a third of the cost, and BU says it will chip in too. The remaining cost is too small for the Baker administration to allow this opportunity to slip by. Allston has endured decades of subpar transit, cut off from the rest of the city by railroad tracks and the Pike. There’s no doubt that whatever replaces the current roadways will leave the area in better shape than it is now. But a plan that includes West Station — now, not in the distant future — is the key that unlocks the real potential of the area that could become Boston’s newest great neighborhood.